Suddenly nostalgic for the Miraweb format. As you can see in the scan, the top edge of the flyer is pretty crunched, but I suppose it’s too late at this point to try to get another copy. And, just so you know, the $1.00 price tag that starts with issue #61 goes up to $1.25 with issue #67, so start saving your pennies now. 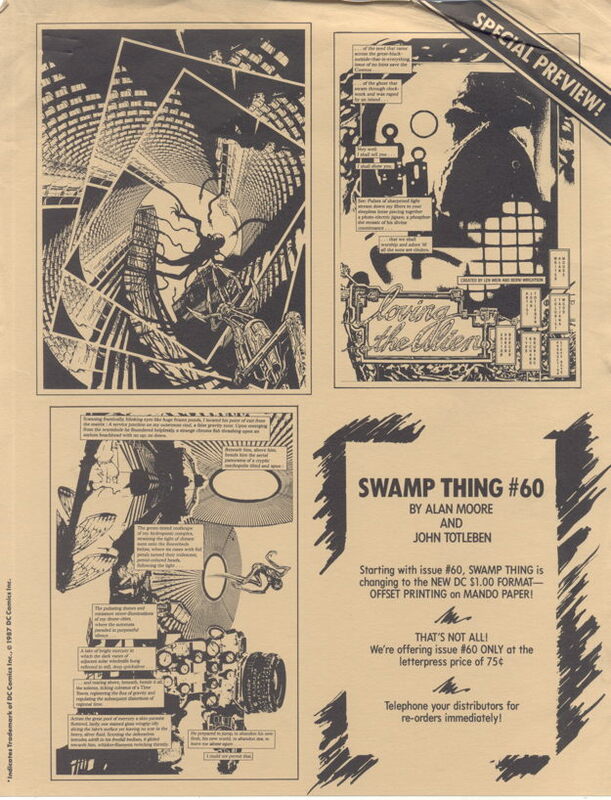 Actually, I kinda miss that “New Format” era…a little more upscale than the standard 75-cent comics of the time, not quite as dear as the $1.50 “Baxter” books like New Teen Titans . It was a nice middle-of-the-road format with reasonably good print quality. 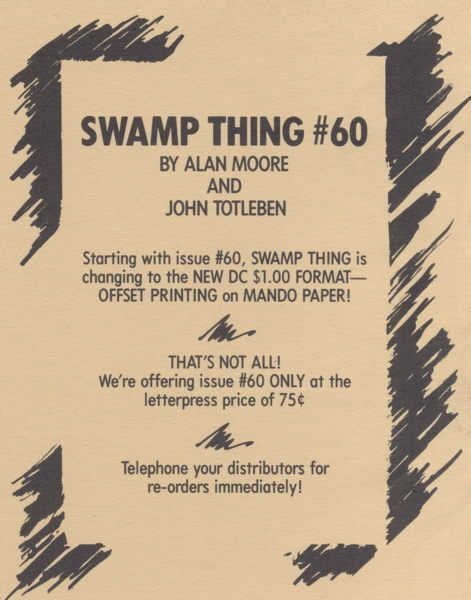 Feeling a little bemused at how quickly I can still separate out the varying printing formats and price points from back then. Of course, there’s a bit more homogeneity to price points now from the Big Two or Four or Whatever, and not so much hairsplitting over the types of paper used, or cover stock. At least, it seems we don’t talk about it as much. I like the old way better, in that if it was nicer product it cost more, and if not, you got to keep the difference. I was never able to find out what exactly “Mando” or “Baxter” paper is besides “a kind of paper they printed comics on.” Are they brand names? Named after inventors? What other uses do the have? Newsprint I get – it’s what they print newspapers on. Easy one! Baxter is obviously for printing Fantastic Four comics on, and Mando is for comics written by Bill Mantlo.